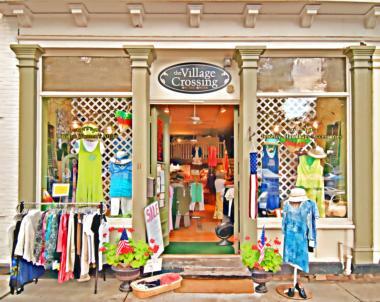 We are a small women's clothing boutique located across from the Village Green in the historic Village of Clinton. We strive to bring unique, stylish and yet affordable clothing and accessories to women of all ages. We are committed to providing our customers to personal service with a smile--something that's lost in many of today's big box stores. Stop in and visit us. In order to provide a unique variety of clothing and accessories this list is always changing. We are especially interested in providing items MADE IN THE USA!! !